Tiny homes aren’t anything new. Tiny homes that look like spaceships might be, though. 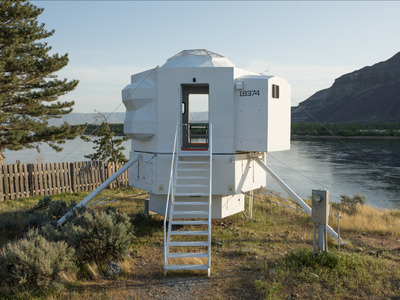 Take, for example, one such dwelling in Central Washington, modelled after a lunar lander – a spacecraft used by astronauts to descend onto the moon’s surface, most famously during the historic Apollo 11 landing. This one will have a slightly less cosmic purpose. 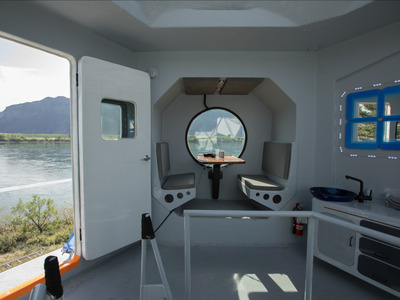 Kurt Hughes took his three decades of boat designing and tried his hand at home building to produce the 250-square-foot white hexagonal hut. 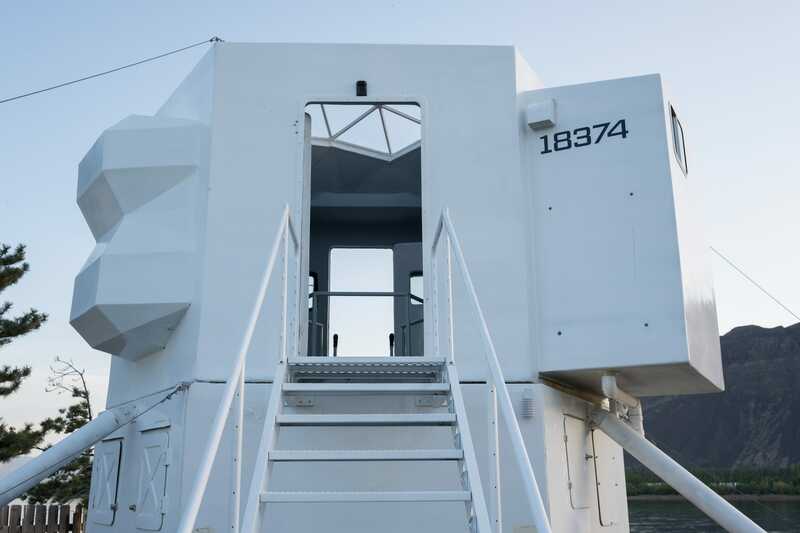 He runs a ship design business full-time in Seattle, so the lunar module will be used for weekend trips and creative respites, Hughes told The Seattle Times. He hasn’t been to space so far, but who knows what the future holds? Take a look inside his intergalactic pied-à-terre. 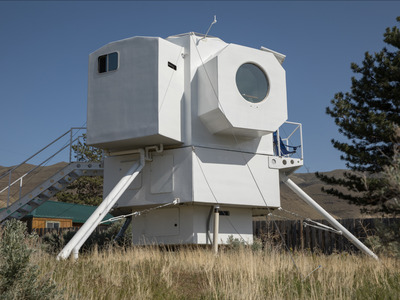 Hughes got the idea to build his lander home 10 years ago, when his daughter attended space camp at Seattle’s Museum of Flight. Hughes sketched a lunar lander for her, and she ended up getting it signed by Apollo 13 astronaut Fred Haise. 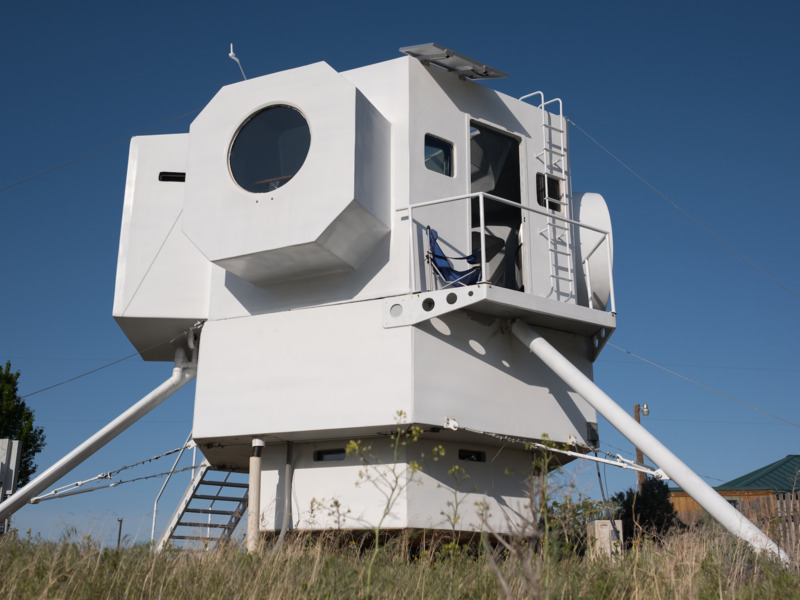 Haise reportedly described the accommodations of the real-life lunar lander as “pretty comfortable.” And so the idea was born. 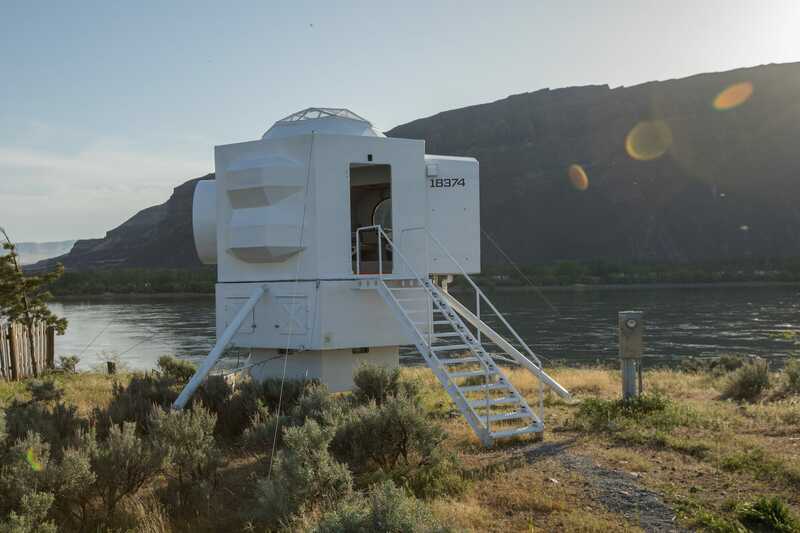 Hughes wanted to honour that era of wonder and space exploration with his tiny home. Mid-century touches and colour schemes are found inside. For the house number, Hughes even used a font called American Captain Patrius that mirrors the lettering on the original Apollo vessels. 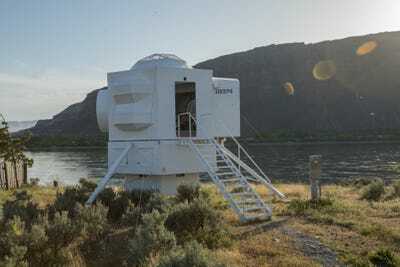 He positioned the 3,000-pound, hexagon-shaped home on the Columbia River bank in Central Washington, aiming to make as little impact on the environment as possible. 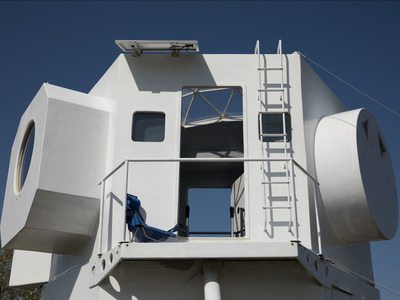 A small deck on the upper level overlooks the river bank. And inside, it’s as quaint and cosy as you’d expect. 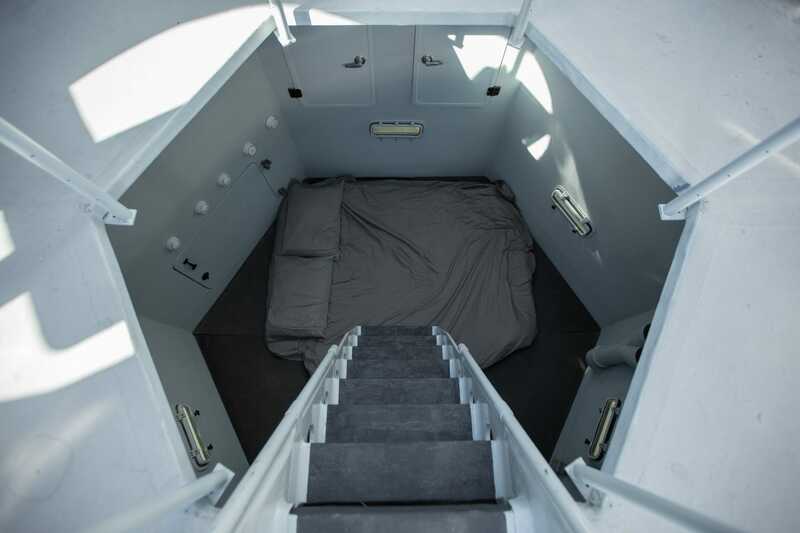 On the lower level is the bedroom, with enough room for two to sleep comfortably. 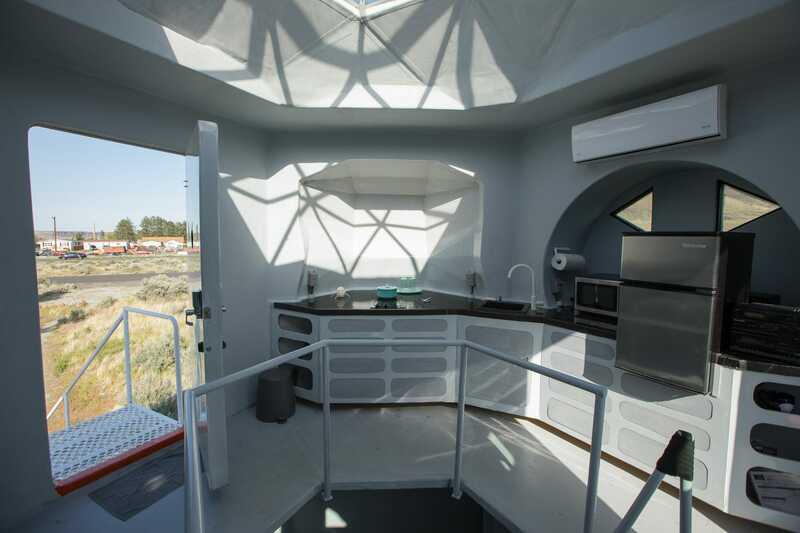 The main level has a kitchen and storage space. 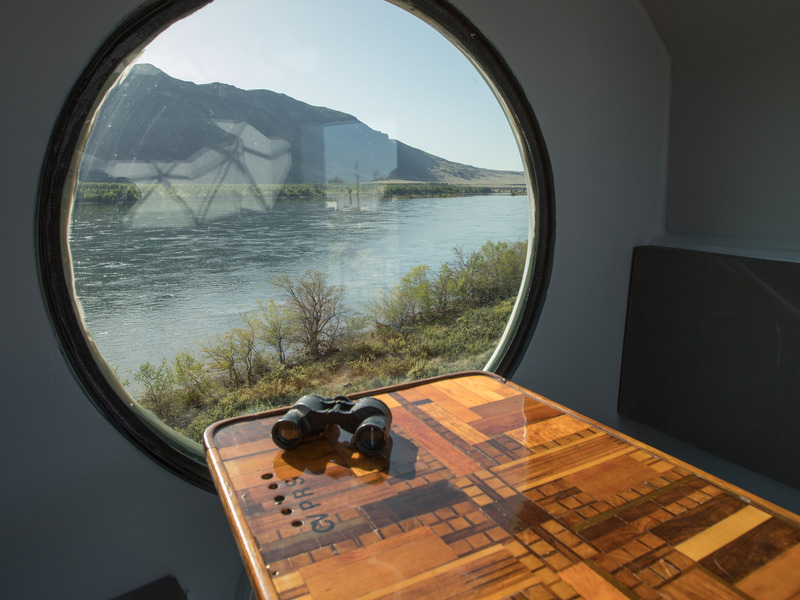 Hughes transformed his first sailboat into the dining table that’s in the breakfast nook. 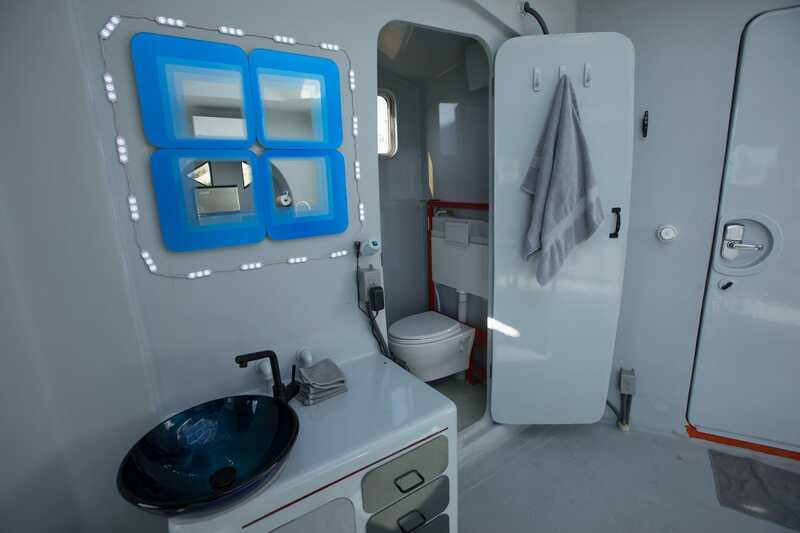 Just next to that is a small bathroom, which holds a toilet with a super-slim tank only three inches deep. And a geodesic dome tops the lunar lander abode. 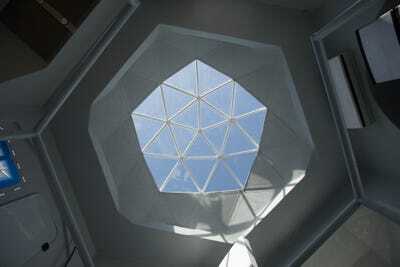 Hughes applied his expertise in structural stability throughout the home. He designed the insulation panels, covered floors and walls with epoxy paint, rendering the space dry and mould-free, and coated ladder throngs in nonskid paint. He made sure to keep his energy expenses down, too, by installing marine electrical systems and LED lighting. As a result, the home is durable and perfect for a short getaway. Still, any longer than a few days in this ersatz lander, and he might get a better sense for what it’s like to live inside a tin can.